Providing you with sponsorship and much more! Our founder and director, James Hay is a man who always goes above and beyond. 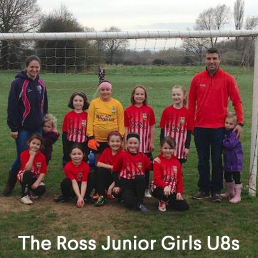 He recently sponsored the Ross-on-Wye girls U8s football team to help them pay for their new kit. Find out how we can help you achieve your goals, by providing you with sponsorship opportunities and much more!